I was reading an article (Slavoj Žižek, “The Fear of Four Words: A Modest Plea for the Hegelian Reading of Christianity,” in The Monstrosity of Christ: Paradox or Dialectic, ed. Creston Davis (Cambridge, MA: MIT Press, 2009) 27-28) where Žižek seems to touch on another of the concerns here. In a previous post I looked at the universalist discourses of mysticism – and the book expands on the problems they, rather surreptitiously, bring with them. Žižek notes a feature of this – the insistence of new-age thought on separating spirituality from religion, and the claim that all spiritual paths share in the same, transcendent, ineffable experience. As he notes below – this is often now presented as the core of religion: and everything else becomes seen as contingent, second-order and therefore negotiable and less urgent. I see this as persuausive and troubling. Troubling because various aspects of religion now fall away: ethics, concerns with social justice, poverty, communal values: all these are now not the heart of religion: but follow later, and in ways open to negotiation and ongoing revision. However, when today’s New Age ideologists insist on the distinction between religion and spirituality (the perceive themselves as spiritual, not part of any organizationed religion), they (often no so) silently impose a “pure” procedure of Zen-like spiritual meditation as the “whiteness” of religion. The idea is that all religions presuppose, rely on, exploit, manipulate, etc., the same core of mystical experience, and that it is only “pure” forms of meditation like Zen Buddhism that exemplify this core directly, bypassing institutional and dogmatic mediations. Spiritual meditation, in its abstraction from institutionalized religion, appears today as the zero-level undistorted core of religion: the complex institutional and dogmatic edifice which sustains every particular religion is dismissed as a contingent secondary coating of this core. The reason for this shift of accent from religious institution to the intimacy of spiritual experience is that such a meditation is the ideological form that best fits today’s global capitalism. 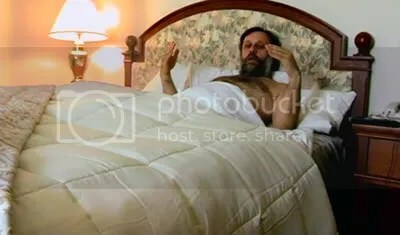 To place the pure meditation as the heart of religion is to absolutely comply with Žižek’s final claim here. Such a ‘spirituality’ is not a challenge to capitalism, it is not even an institution that could match or threaten it. It is (as he also says of Western Buddhism elsewhere, such as in On Belief) an ideological supplement to capitalism. It is a balm that lets us continue to tolerate a world of injustice, poverty and inequality – by removing ourselves to an ‘inner self’, and by se-substantialising the world through mystical versions of notions of Māya, and the world as less-real than it seems. So while we reject religion, we must note that when we do so, we need to pay attention not to finding something to replace its function as metaphysical account of reality, but to how structures to support social equity, fairer distribution of resources and personal and group ethics can be established. This, rather than endless futile bickering about ‘proofs’ for God’s existence with Theists, seems like a proper challenge for the atheists of the 21st Century. To bear out your thought on the shift of emphasis towards personal spirituality being the best fit with global capitalism: new age spirituality seems very consumerist, requiring lots of tat like crystals (never mind if they have been strip-mined in the Third World by underpaid workers), Tarot cards, statues etc etc. Also there is an attitude at some Pagan camps that I have attended where people want to have their experience and don’t care if they interrupt others’ sleep to have their experience (of drumming, playing the didgeridoo badly, singing tunelessly far into the night, etc). Zizek is absolutely spot on with his analysis here. It has to be said that it goes deeper than a best fit with Capitalism, it is a best fit with the individualism and atomisation inherent in the liberal – secular worldview brought in by the Enlightenment. The great projects of the twentieth century to ground religious belief in individual religious experience ( like those of James and Otto) I believe have influenced the discussion as well.